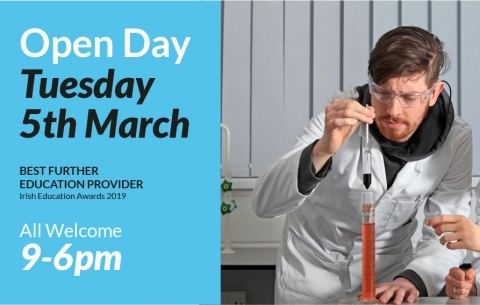 CSN Open Day 2019 Tuesday March 5th 9-6pm All Welcome! Are you curious about the courses we offer at CSN? Come and check out our facilities, talk to our teachers and chat to our students. There is a reason that CSN College is a finalist for Best Education Provider at the Irish Education Awards 2019. Come and see for yourself why we are one of the best. Meet CSN teachers, staff & students. Discover what is possible in just one year at CSN! Find out about the courses we offer and discover the success stories that help students get what they want. We are looking forward to showing you around CSN College campus! See for yourself why CSN College won the Award for the Best Further Education Provider Category in the Irish Educations Awards 2019!